O Lord, deliver me from every ignorance and heedlessness, from pettiness of the soul and stony hardness of heart"
With these few prayers of Saint John Chrysostom, I stands still, only to admire for -what could possible be the last time- the great Ἁγία Σοφία, the Sancta Sophia of the Latins, the marvelous Ayasofya as its known to our brothers, the Turks. The impressive mosaics, the figurative decorations and the vast paintings of archangels Gabriel and Michael looking straight at my eyes, as if they are eager to tell me something. Perhaps they seek to give me a sign of approval of this war; a sign of glory and victory, or perhaps a sign of suffering and death in the Holy Lands of Acre? How could i know? I look down confused, perhars nervous and anxious for the incoming battle. Although i always had a hard time believing in the divines deities, believing that Gods and Goddesses are only a tool to serve the interest of the noble and the archons, now i only feel a strong urge to pray again, like i did in the theological church during my visit to Greece several months ago. I shake my head, trying to ignore the fear. "I shall endure. We Romans always endured.." i murmur. I get out of Agia Sofia and turn back to admire the imposing complex architectural design of the grand imperial basilica one last time. 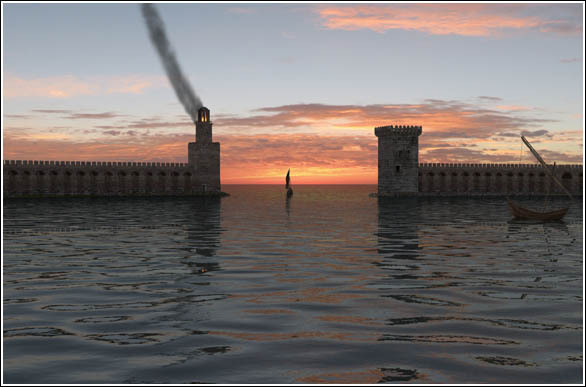 Then i turn my back and move to one of the harbours of the Basileuousa in order to join my tagma. I embarked on the ship counting my belongings and my armor again and again in order to be sure that i have all the necessary equipment on me, as the warship was moving away and towards the Aegean Sea. Looking around me, i see both scared and courageous soldiers. Many of them pray for the success of this war, others talks about a possible "crusades", others believe this is a suicide. But no one dares to complain under the austere supervision of the tagmatarches who makes sure that the soldiers are present with their armor and weapons intact. As the ship set sails for the long trip to Tortosa, i can only find peace in repeating the prayers of Saint John Chrysostom. From Zion, to Hierosolyma, to Aelia Capitolina and last Jerusalem, this city attracts every faithful . The walls of the city torn down and rebuilt by various conquers, some of them last long some of them didnt had time even to sit at throne properly. For this siege of Jerusalem no ballista, no catapults, no trebuchets, no battering rams and siege tower were used. Nothing just a coalition of allies, all of them with their agreements and disputes, but all as new allies and old friends. When i arrived from Constantinople the first wave already stormed one of the minor gates of the city and returned to the camp witnessing the first casualties. I headed to the tent of strategos our the Empire. Baron Faraxius Fasces Ruxus made me a fast tour at the coalition camp, first to our knights, many of them veterans, and including me, we served with Augusta Thekla Argyra months ago at battles of GAZZA and ACRE. Warm handshakes, smiles and promises to join after the siege at the camps of Serbians and Bulgarians, and a strong hug with King Dusan Nemanjic, we exchanged some info and we reassured each other to our commitment to change Levante. After i joined the Papal Guard, thank them for their support and promised that the Empire's Theological priest will be at their side. Last i passed from Countess Gilda Merisi tent, she looked serious busy reading papyrus and asking her husband loudly to bring the laws scroll. Decided not to interfere and returned to strategos tent to spend the night. 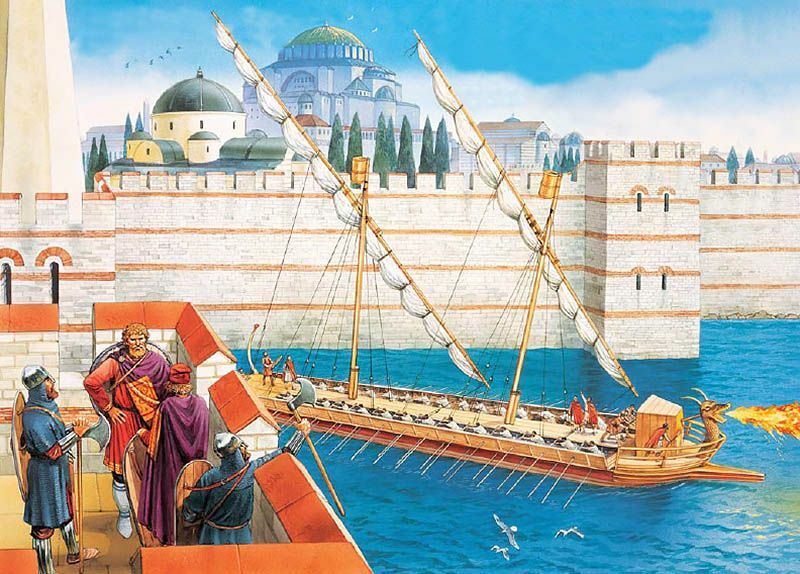 The coalition forces entered the Holy City with order, but the situation inside the city is tragic, for that wasnt the fault of a long siege, i headed to Antonia fortress where Imperial tent will stay and Countess Gilda Merisi headed to Herod's Palace. 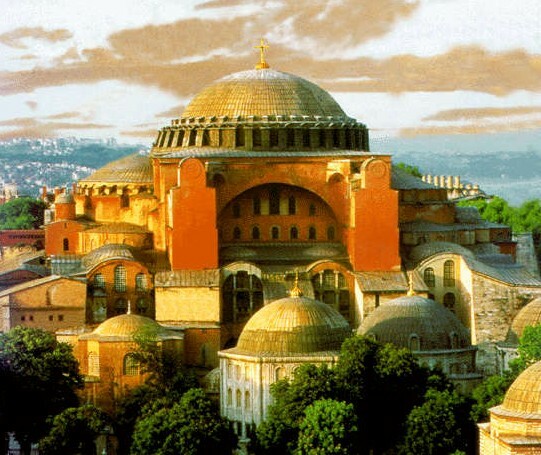 I noticed that the Mystic temples are at good condition but i am worried of the reports of the Greek Patriachal Brotherhood about the Church of the All-Holy Sepulchre static and cosmetic condition. Tomorrow i will visit the witness with my own eyes.